Registers from 140°F to 190°F / 60°C to 87°C. Non-slip silicone ring for easy handling. 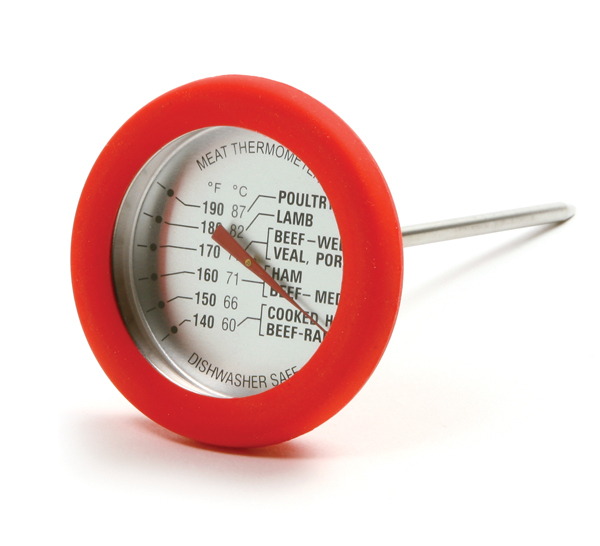 Large dial for easy reading and suggested meat and poultry temperatures. Instructions included.